SearchQuarry Offers A Powerful Reverse Phone Number Lookup Search Tool enables users to discover who is calling or texting. San Diego, California, October 11, 2016	(Newswire.com) - ​Search Quarry (SearchQuarry.com), a U.S.-based public records resource utility created to assist in locating public records information online, now offers a powerful reverse phone number lookup search tool that can be used to discover who is calling or texting simply by entering any phone number and hitting “search.” The reverse phone search tool, which can be found at https://www.searchquarry.com/reverse-phone-lookup, also enables users to obtain a name, address and other public records, and can be accessed from a computer, tablet or smartphone. According to Search Quarry representatives, the reasons people would need such a service are myriad; many times, telemarketers, debt collectors and other individuals or companies soliciting money or products can be the catalyst for a host of emotions, from mild irritation to raging frustration. To this end, a reverse phone lookup can pin down the exact entity responsible for the call, whether it is a call center or company, while providing an advantage when deciding on the best course of action. In other situations, an individual may be in need of discovering the owner of a phone number if he or she has been receiving calls from an entity refusing to leave a message; where otherwise this person may miss an important call, enough can be found out about the caller to determine if it was a genuine mistake or if it warranted returning the call. Search Quarry representatives recommend three major free reverse phone number search portals – SpyDialer.com, TrueCaller.com and ThatsThem.com – when a basic search is all that’s required, but stress the Search Quarry reverse phone number lookup tool for up-to-date information about the owner of the cell phone, including criminal records, lien records, driving records and more. “Reverse lookup sites like ours at SearchQuarry.com will query a database to find the personal information of the caller,” adds the representative. “While a few sites offer these services for free, most charge a fee to view the details, and since cell numbers can easily be transferred between carriers and customers, reverse lookups are not always accurate – and may actually provide information about the wrong person. "Ultimately", according to SearchQuarry.com, learning to use a reverse phone lookup tool is a very useful skill for anyone that needs to know more about phone calls they receive. " SearchQuarry can be reached by calling (800) 859-7375. 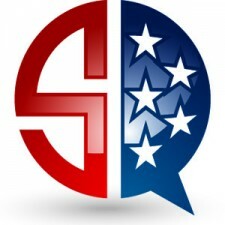 For more information visit www.SearchQuarry.com.